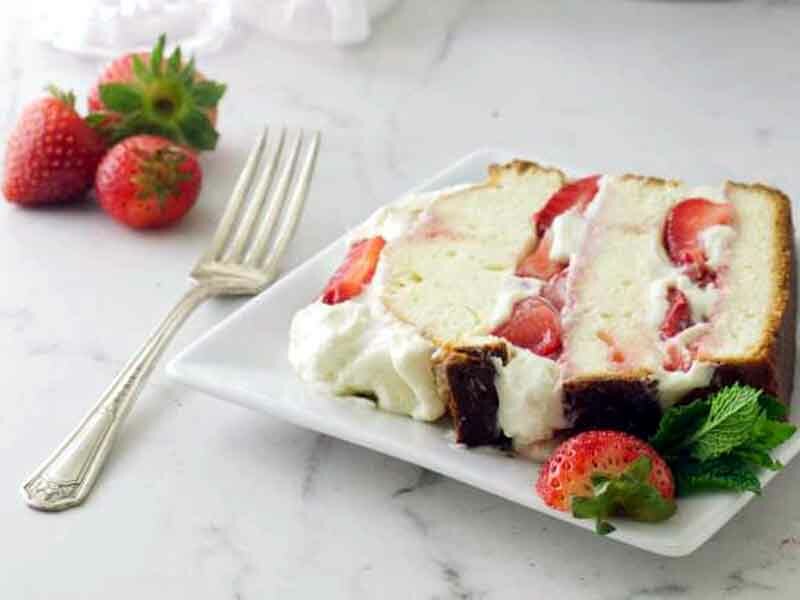 This classic Strawberry Shortcake with Pound Cake is all dolled up with bright, sweetened strawberries and a luscious creamy topping. There are so many versions of strawberry shortcake. 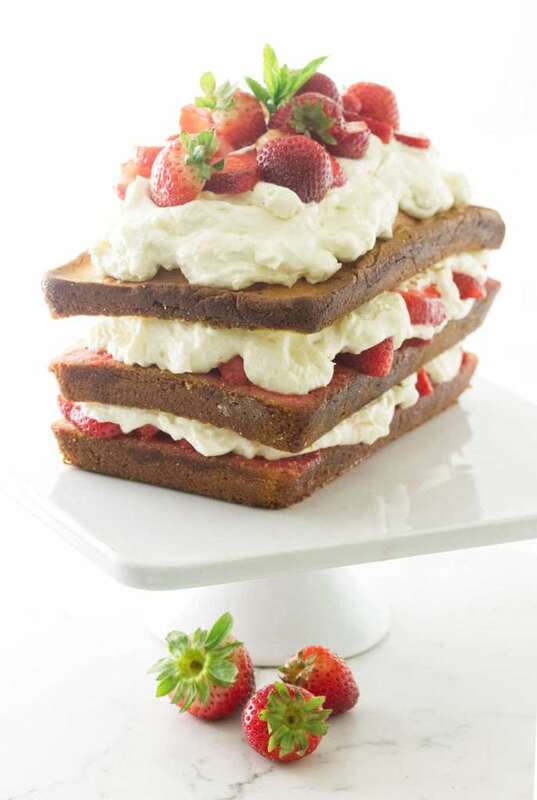 But it is simply sliced, sweetened strawberries layered over some type of cake and served with sweetened whipped cream. Don't overbake the cake. Use a toothpick to determine if the cake is done. Ideally, the cake will be moist enough to still have a few crumbs stuck to the toothpick. 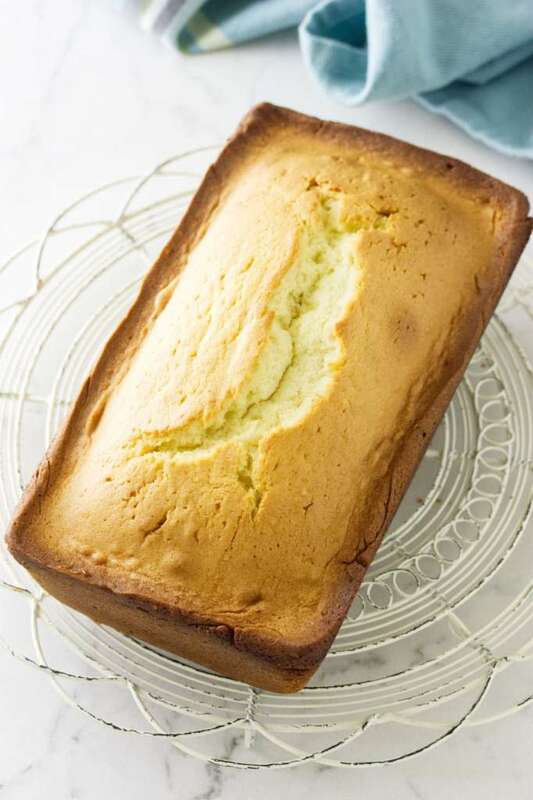 If you cook the cake until the toothpick comes out completely clean, then the pound cake will be a bit dry. When making the topping it is important that the cream cheese be soft at room temperature. If you whip cream cheese while it is cold, lumps will form and it is almost impossible to get a smooth, creamy texture. Tip: To soften cream cheese quickly, place the cream cheese in a closable plastic bag and set it into a dish of warm tap water for 15 minutes. This is my preferred method, although I have used the defrost setting on the microwave using short bursts of power.